Its doing these things in To Town state, which means whenever your bot meets certains conditions, it will do above things. It will always do this up to lvl 10 so there is no way for you to miss that, unless you dont have money in bags for which the plugin checks. I hope it will be of use to somebody, it is to me so I decided to share it. I got tired of doing above things myself for 10's of my toons and none of popular questing profiles does that. You need to have at least 1.2s in bags for bot to initiate the run! Tell me what you think about this in the comments and report any bugs please. Also looking for any ideas that I could make so tell me! Command your bot with in-game chat! This plugin executes commands (Lua code, C# code, use item or cast spell) with argument support, when any party member or whisper sends a specific message in WoW chat. This is a standalone, free plugin (Party chat command not required) that monitors in-game chat channels (like a Discord bot) for a trigger command, an action, and any arguments/variables you want to pass along. The plugin is designed to scan party chat, party (leader), and whispers for triggers/commands. There is also an optional Argument Handler that when active, parses all arguments as 1 string (Used in the say command for example). As the file is CS, the source is available for the community to digest and use for their own needs. Make a heal/buff/attack action with arguments: Have your bot heal, buff or attack a target of your choice, with the spell of your choice Change your "Party" product target from in-game with the player of your choice Integrate with Traveller and use chat commands to send your bot places to do things (go to place, sell/buy this) Much, Much, More! I will update default actions with some actions I make for myself as I go, but I am so interested to see what you all can come up with! Enjoy! UPDATE: I see a lot of people still using this, I would recommend using https://wrobot.eu/files/file/1664-free-requesthandler/ instead. It has more options and doesn't just hit decline on every popup. This is just an adapted version of Droidz Auto Accept plugin(it selects accept on WoW popup windows like group invites) where I changed it to decline (on a random timer between 2 and 11 seconds). Simply place the .cs in your plugins folder and turn it on within the GUI. To edit the random timer change the values in line 19. This is my Dungeon Party (Dungeon bot) for WRobot. It's an advanced plugin that makes it possible to use/make dungeon profiles. It makes sure that your groups stays together, lets the tank pull while the group follows. The plugin adds an in-game interface where you can see party status. - Makes sure that the team sticks together. - Tank will only pull when the group is ready. (Full mana, hp, and in-range). - Will reset instance when it's clear. - Chars will do a town run after a dungeon is cleared (If it needs it). - Easy to add profiles (see the video). FULL RFC Profile (Use this as a template to make new dungeon profiles). <- level 16-17 is suggested as a starting point, also a good idea to be geared. - Log on with all 5 chars, and start the bot. - The first thing you do is to choose the role on every char. (Tank on the tank, Healer on the healer, DPS on the dps). - Secondly you party up your group. Stop the bot and write /reload in-game. - Load your profile and start the bot. 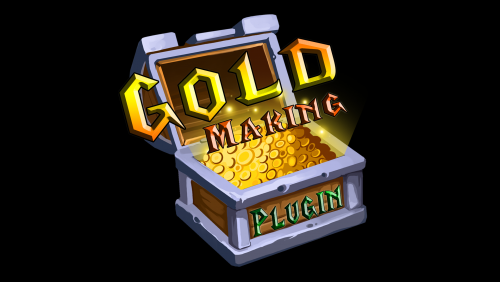 wrobot's very first plugin dedicated for making gold stacks. 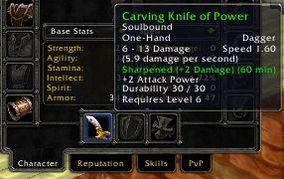 You can farm basically anything that has a value with this. I am also willing to add good ideas. The demo contains a few example tasks. It can farm a few basic items. The actual paid plugin is way more advanced and has over 60 tasks. 60+ Tasks to farm items and gold! Level 1 to 60 - everyone can make gold with this! Multiple Farming Combinations possible! Switches region often to not get banned! 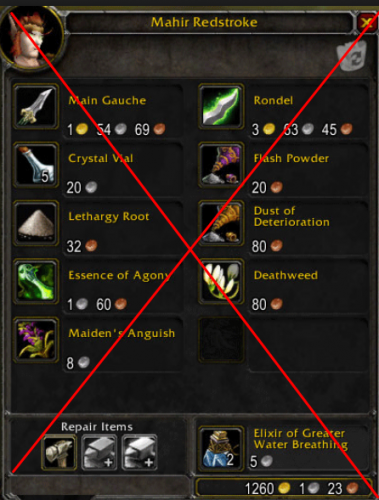 Herbs, Ores, Cloth, Leather, Raw Gold, BOE's included! Special Tasks (only examples): Essences, Twilight Texts, Ungoro Crystals, Demonic Runes Many different routes for many different items Future Updates will include more tasks and even expansions (TBC is next)! Just one quester file and one plugin - Easy to handle! Very Big Routes to avoid Bot Trains as much as possible. Your Bot will make sure to not sell your valuable items! You feel like sharing your farm ideas? I will add them and give you a discount! [Paid]This Plugin offers so many features that I will not list them here. Must have. Human Master Plugin by Matenia [Paid] A solid Fightclass that is able to handle 2 mobs or more. e.g. Ordush's BM Hunter for Vanilla [FREE] Use my Discord for Bug Reports, I will fix them as soon as possible. (Link in the Purchase E-Mail) [GOLD] Big bags so you are able to carry all the stuff! Buy the Profile & Wait for the Email! Download the Profile from the Email. Note down the ORDER ID! (At the top of the Purchase E-Mail) Enter the Plugin Settings and tell the bot what you need! Start the Profile with your Bot (As a Quester File!!!) Enter the Order ID in the popup window and press enter to authenticate your product. Close the popup window with the Order ID before the error appears. All credits for original plugin 'PartyHelperPlugin' go to Matenia. This is a modification of that plugin 😀. It works essentially the same as PartyHelperPlugin except that it does not invite the followers. It must be run on all bots you would like to assist you as well as the leader bot. Enter all follower bot names in the 'Followers' setting and set the 'Is Leader' setting to true on one bot only, the one that you want the followers to assist. Followers will automatically assist the leader. NOTE: Just like PartyHelperPlugin, the followers will not do quests, only the leader will (If it is running a quester profile). Leader must run Quester, Grinder, Gatherer. Others may work as well (such as WRotation). Group regeneration is the only feature (that I know of) which does not work yet. As far as I know, group training (when one bot goes to train, all of them go), and group ToTown does work. Technically will support as many followers/slaves as you want, although I'm sure there are problems with that. This plugin has not been thoroughly tested whatsoever, so it's possible that some things are not working as intended. This plugin as it stands will clog up your ability to speak in General, Trade etc. or any other channel, as it uses a private unique channel to relay information between bots. (You will not see the communication between the bots on your chat frame unless you manually add the channel to it.) This system is possibly unsafe, so use at your own risk. I can release a version that uses /whisper instead (which will clog up your chat frame) if there is demand for it. 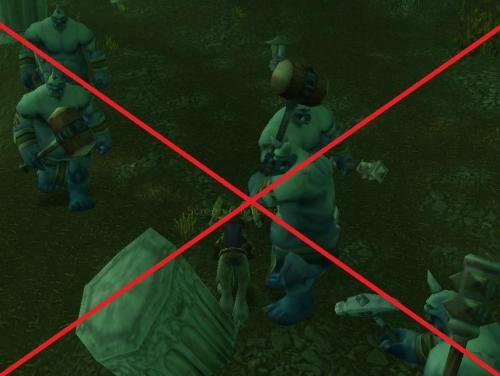 Will not work with HumanMasterPlugin (bots refuse to attack tagged mobs) or any FightClass that stops the bot from attacking taggged mobs. I have included a few basic FightClasses that will work with this plugin. This is my first plugin, so feedback on bugs/code/features is appreciated. I may update this as I see it as a learning experience, I also would like to see GroupRegen working. Feel free to do whatever you want with the source. This was a quickly put together project over the last couple of days and I consider it to be slightly unfinished (namely the GroupRegen feature not working). You may contact me on here or at RADON#2926 on discord. 'Channel' and 'password' setting MUST BE USED and MUST BE THE SAME ON ALL BOTS! Password is optional but if one bot has it, all of them need it. If not, the bot will not work. Description of that is in settings. It is also recommended that you sync all settings so they are the same on every bot you're running. 'Followers' must be the same on every client as well. Healer mode seems to have some issues that I will address in the next update: occasionally won't heal, and it only heals the leader & not other followers. Occasionally the communication channel is not visible to certain followers. Seems to be a character-specific issue and I have only seen it happen once. 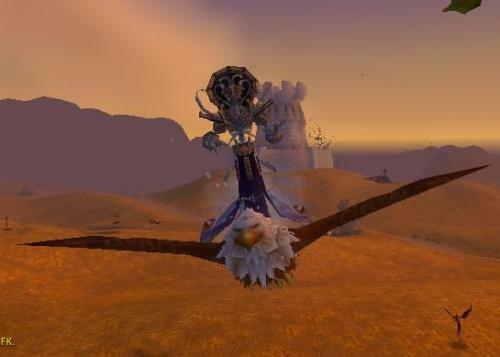 Replaces the current, unreliable taxi system of wRobot with a dedicated system for Vanilla WoW. It also adds the functionality to automatically discover previously undiscovered taxi nodes. It is currently Alliance only, due to primary created with my quester profiles in mind. Don't ask me to create a version for Horde as well. I have plans for that, but without an appointment. All settings should be self-explaining. You can enable / disable taxi nodes within the plugins settings. Only set nodes to true, if you know for certain that your character has discovered them ingame! Important: The plugin creates and uses it's own database. That means that the plugin has to discover taxi nodes by itself or update it automatically, when the taxi map is opened. It also does not check, if the transition between two taxi nodes is possible. F.e. it will try to fly from Booty Bay to Eastern Pleaguelands, even if you haven't discovered any other taxi node in Eastern Kingdoms. So make sure the product you are running allows the use of this plugin. Props to you, if you really read that. It opens things that normally would fill up your inventory. Also it automatically adds items to the "Do-Not-Sell List"! Black Pearl Golden Pearl Can you add Item XYZ? Just private message me, I can do that. this automates the process of creating a "Do-Not-Sell List" instead of doing it for every bot again. It makes sure that valuable items (e.g. 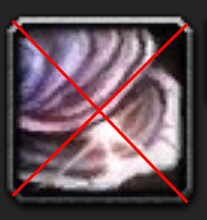 high tier herbs/ores) will not get vendored. The Plugin handles everything for you. No need to adjust the "Do-Not-Sell List" for every bot. Just use the easy to use settings of my plugin to sort out what should be vendored and what not. It also enables selling by default for every bot. Ores Herbs Leathers/Hides Cloth Bags Can you add Item/Category XYZ? This is my In-game Settings plugin for WRobot. It's an advanced plugin that gives you an in-game interface where you can change many aspects of wrobot. The plugin adds an in-game interface where you can change WRobot settings while playing, instead of having to Alt+Tab out and find the right wrobot window. It is made so other plugin/fightclass/profile creators can integrate into it adding their stuff to it. Below there is an example of my hunter fightclass integrating into it. The plugin has a minimap button that you can use to toggle the settings window on/off. It can be moved and resized. It will obviously save the minimap button settings between sessions. This tab has some general info about my products, as well as info about the current integrated plugins/fightclasses. The dream is that every plugin out there will integrate into it. This tab shows the General Settings tab from WRobot. Here you can change all the settings in-game and they will even update in the wrobot window., so if you are playing and suddently want to turn on Selling Items, you can do it without even stopping the bot. - Autoloot BoP Items <- If On, Bind on Pikcup items will automatically be looted. Here you can make the changes to the minimap button. - Lock Minimap Button <- Locks/Unlocks the minimap button, if it's locked it won't be movable. - Minimap Button Size <- This slider decides the size of the minimap button. it has a set minimum size, and set maximum size. (Let me know if you think the min/max should be changed. - WRobot Advanced Settings Tab <- I am going to add all the advanced settings tabs to the plugin, i just need to decide if i'm going to use the same design or another. 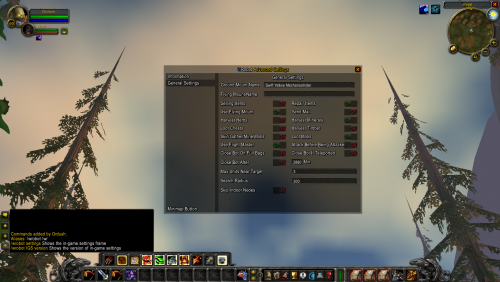 - Custom In-game Settings toggles. <- This plugin is not limited to other plugins/fightclases or wrobot settings. I will add some usefull toggles, like Auto Loot BOP items etc. - Stuff that i feel WRobot misses. Auto update every spells you have in every action bars with the highest rank of the spell you have in your spell book. The plugin only upgrade the first spell he will find in your action bars (wow vanilla api ...) so if you have more than 1 time a spell in your action bars, it will not update all of them, only the first he will find according to action bar slot id order. Because wRobot loves to set Fight.InFight = true on friendly targets after interacting with them (vendors, trainers, etc), I made a small plugin that should work across all expansions and stops the fight with that friendly NPC so that you can look less like a bot. Disclaimer: This will be included in the next HMP update. This plug-in allow you to specify which upgrade the bot should apply on your weapon by using Plug-in Settings. The bot will then check if you are not in combat or dead and if you don't already have a buff on your weapon, and then it will apply the specified upgrade like Sharpening Stone. This plug-in is based on @Skalikas Fishing Lure plug-in with few adjustments. This little plugin uses your hearthstone to get to town instead of walking all the way. I took a version that Droidz had posted somewhere on the forum, it didn't work. But i fixed it, and here it is. - Enjoy! No settings needed just put in plugin folder and load. This plugin hooks itself onto the MoveToPulse, pauses the bot and enters ghost wolf and continues when travelling as a Shaman. 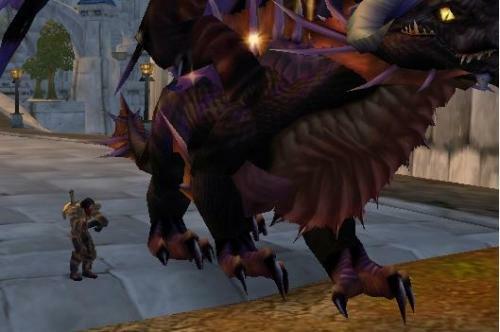 It will not attempt to do this if you have a mount name filled in or are indoors. It should leave ghost wolf when entering combat. I heavily recommend using the addon EzDismount, it tries to cancel ghost wolf when you interact with things. You no longer need an addon, I have built leaving ghost wolf into the plugin. Not tested too thoroughly, let me know if anything doesn't work too well. This plugin sends notifications via a webhook to your specified discord channel. This is currently ONE-WAY. That means notifications get sent to discord but you cannot reply back via discord to your bot. What does it do in its current state? Send a status update every X seconds to your discord channel Send a configurable prefix message to your discord when a message gets sent to your bot or near it. This includes; Whispers, Say, Party, Emote. Send a configurable prefix message to your discord on death. Send a screenshot on any event (example below). What do I eventually want to add? 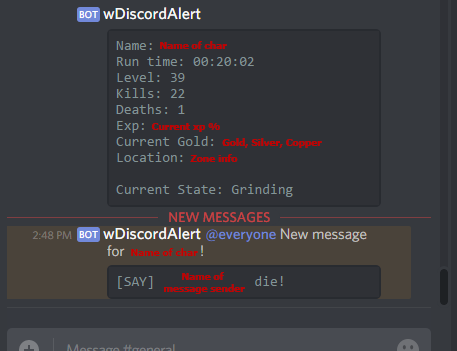 Monitor if the chars name is said in ANY channel and send notification Create a discord bot so that we can send messages back to wRobot (TWO WAY) Monitor other events like, teleported, targeted over extended period, killed by player, etc. Suggestions? How to set up? The plugin requires you to have a discord webhook URL set in the plugin settings. To get this URL go to your discord channel (preferably your own as only you want to see this info) and click on the cog next to your channel name (like #general for example). On the left hand side will be a Webhook section, click that and then click Create webhook. You can change settings here if you want but the important thing is the webhook URL at the bottom, copy/paste the full URL to the plugin setting. On emote it sends the last chat message instead (if someone whispered you 3 mins ago and then you get an emote 2 mins later, it will display the message from 3 mins ago). Will change it to say an emote was used near you.